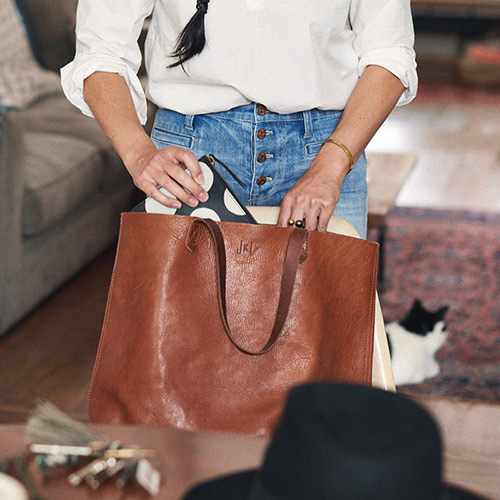 What goes into the drawstring version of our signature tote? Here it is by the numbers: 2 pieces of fine leather are used for the body. 2 for 1: cinch it closed to transform it into a bucket bag. 1 interior side zip pocket to keep your keys, phone and wallet at the ready. 8 inch strap drop: long enough to sling over your shoulder but short enough to hold as a top handle. 24: the number of hours in a day that this bag looks cool. How often you'll reach for it? 500 gazillion times.